That was the question poised on the EarlyCJ5.com forum in a post about jeeps equipped with a front-end loader. This was followed by another post about working jeeps. 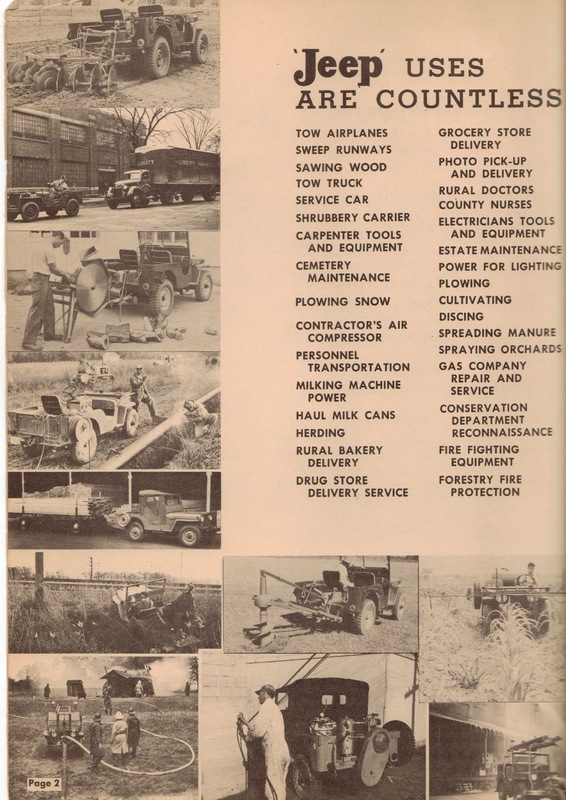 All of that got us thinking about all of the ways the “CJs” were used, especially during the decade following WWII. As luck would have it, Stan (AKA smfulle) on the CJ2a PageForum posted a great video that shows some of the many uses of the Jeep and the Willys 4WD trucks. Although labeled as a “1940s” promotional film, it is easy to spot the CJ5 introduced in 1954 and a license plate from 1954. So we would change that to “Mid-50s” promotional film. What is fun about this film is that includes CJ2a and CJ3a jeeps in addition to the CJ5. This film is really about jeeps at work. Of particular interest to Farm Jeep is the showcasing of the Monore Lift. 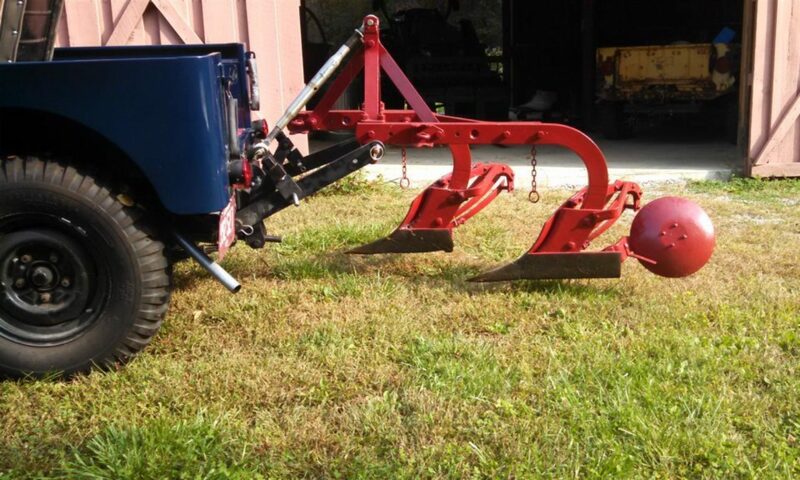 Simply referred to as “the famous hydraulic lift”, the Monroe lift is what really made the jeeps so useful on the farm and work site. Most of the list includes jobs that are still done today. A few may be limited in the 21st century. Two, “TOW OR OPERATE ICE CUTTER” and “HAULING ICE CAKES FROM WATER”, stand out as jobs that are not common today. Then there is “CHECKING RR TELEGRAPH LINES”. This is a small list and I’m sure there have been dozens of other uses not listed here. That makes the hunt for old pictures and films fun. We are really glad that Periscope Films posted the film and that Stan posted it on the CJ2a Page. 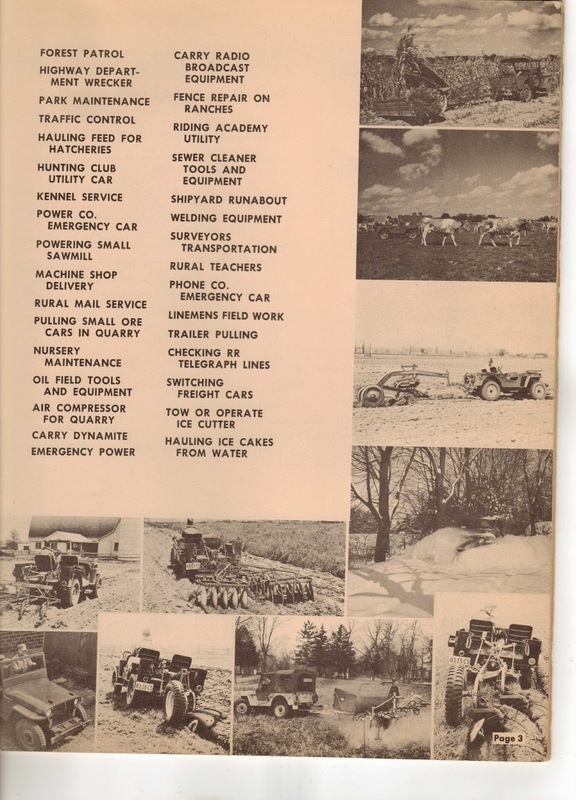 To this day, there is a magazine called "Farm Show" that features the hacked-together mechanical inventions of the ingenious American farmer. 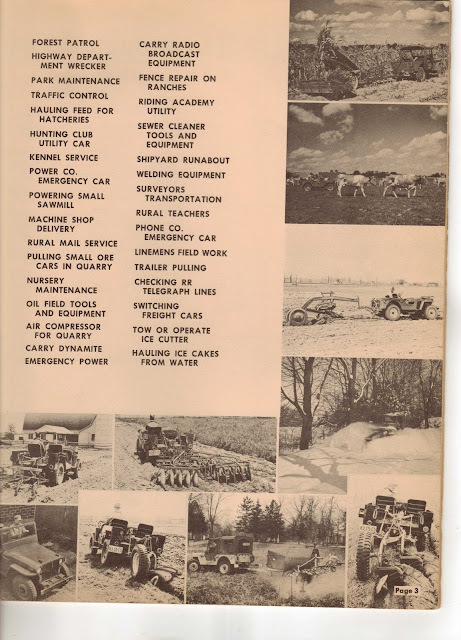 As recently as last year, I recall seeing someone using a Willys with big tractor tires on it to haul a 250-gallon tank and sprayer out over their fields. Great to see this, thanks.